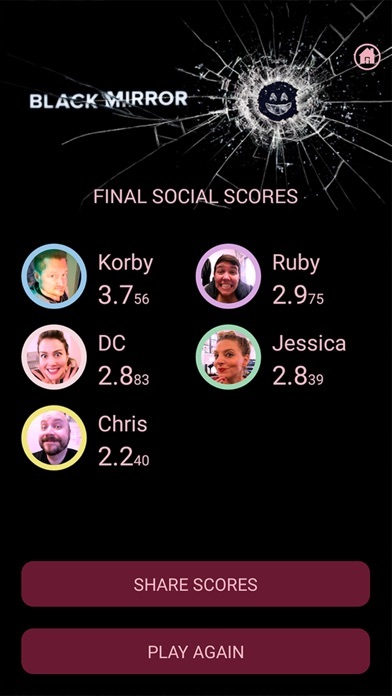 The digital component of the social-interaction board game NOSEDIVE, which allows players to select Experiences for each other that can raise or lower their Social Score. 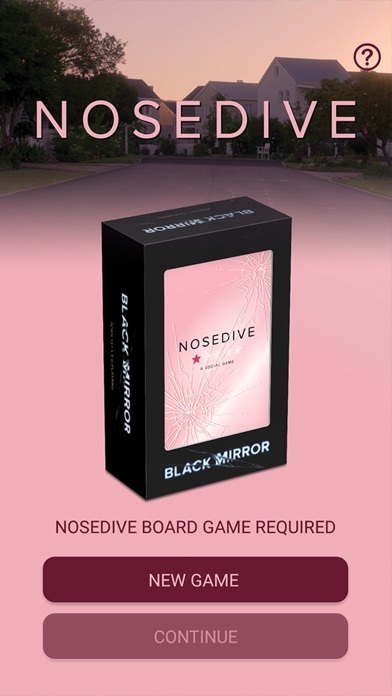 NOSEDIVE is a hybrid board game where players collect physical Lifestyle cards as they play and, at the same time, use the app to maintain their Social Score. 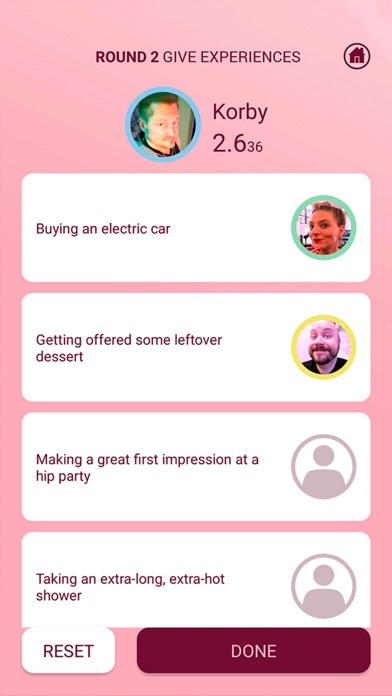 At the end of the game, players only count Lifestyle cards that their Social Score will support. 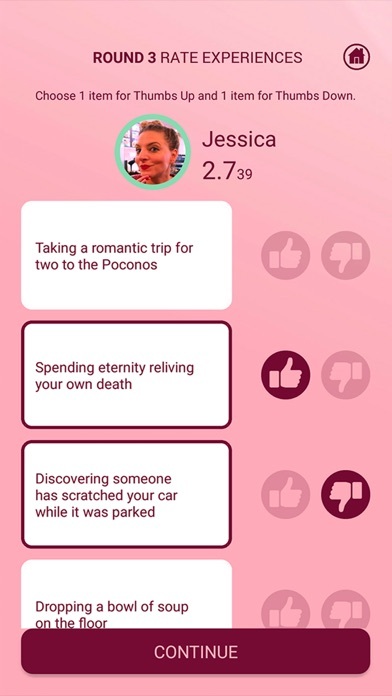 Players use the NOSEDIVE component app during the game to give each other various types of Experiences. They then rate those experiences within the app, and those rating either raise or lower the giver’s Social Score. 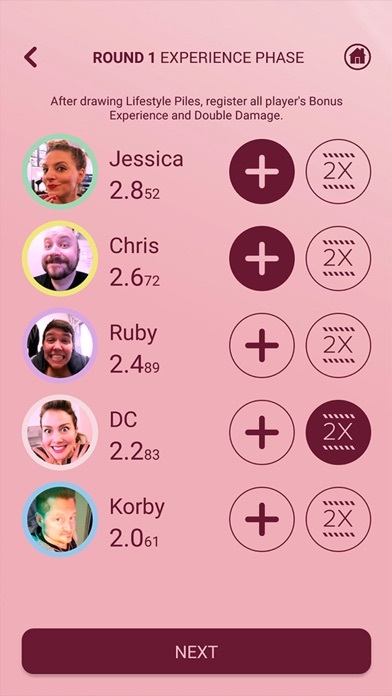 The NOSEDIVE app also tracks each player’s Social Score throughout the game, which directly affects the scoring of the physical Lifestyle cards at the end of the game. The Black Mirror episode ‘Nosedive’, as well as the storyline, script and graphics/artworks used in the episode are © House of Tomorrow.